Having started to talk before I could walk, I remember my pre-schoolers frustration at being unable to read. In my teens and later, I learnt a handful of languages sort of well; I've dabbled in many others since. In recent years, I've published several books about language and linguistics, in both English and Dutch. * Lingo (2014), about the languages of Europe; also available in Dutch (Lingua), German (Sprachen), Russian (Lingvo), Spanish, Swedish and Norwegian; Italian forthcoming. 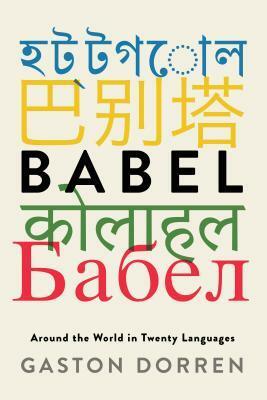 * Babel (2018), about the world's 20 largest languages. Spanish, Mandarin (2), Norwegian, Italian, Polish, Russian, Korean, Vietnamese and Dutch translations are scheduled for 2019/20. * Vakantie in eigen taal (2016), about the Dutch languages. * Nieuwe tongen (1999), about heritage languages in the Netherlands and Flanders. I live in Amersfoort, the Netherlands, with my wife, Marleen. I have a rather catholic taste in fiction. In English, from David Mitchell, Pat Barker and Alain de Botton to P.G. Wodehouse, Jasper Fforde and Rowling's Harry Potter series. In my mother tongue, from Renate Dorrestein and the (van het) Reve brothers to many others of lesser international renown. When it comes to linguistic non-fiction, I like John McWhorter, Guy Deutscher, David Crystal, Nicholas Ostler, Henriette Walther (French), Karl-Heinz Gttert (German), Lola Pons Rodrguez (Spanish), Marc van Oostendorp (Dutch) and Joop van der Horst (Dutch).